Cost: $135 per child/ per week. $125 if purchased by 4/1/19. Museum Member discount available. Description: Our alien friend has crash-landed on earth and needs help returning to outer space! In this session, campers will learn about basic circuitry while constructing an alien spacecraft. A control panel that lights-up and an electrical reactor that spins will More.. Description: Summer Day Camp daily activities include crafts, games, music, outdoor activities, and much more. Children will have the opportunity to go on many field trips and maintain their academic skills. More.. Description: Campers will receive Community Emergency Response Team training concentrated on learning skills in the following areas: disaster preparedness, fire safety & suppression, disaster medical operation, treatment of injuries, search and rescue, disaster psychology, and more! Not only will the "MyPI" camp More.. Description: Alien space cows have traveled to earth to find their farm friends and take them back to their home planet! In this session, campers will learn about the power of magnets while building a cow-shaped spaceship. Campers will build their More.. Cost: $60 for entire 6 weeks includes free lunch everyday. Description: Join the club! Open the door to a great summer. For youth ages 7-17, featuring reading programs, STEAM programs, arts & crafts, and sports and recreation. More.. Description: If you like good food and good fun, join Farm to Fork Culinary Camp: Budding Chefs where campers get delicious and educational farm-to-table cooking experiences! Campers will harvest from TVF's bountiful summer garden and bring that produce right into the More.. Description: This year TVF is excited to be introducing a brand NEW cooking camp: Farm to Table Culinary Camp: Master Chefs! This camp will feature our outrageously popular Iron Chef competition and our beloved farm-to-table cooking lessons. Campers will be challenged More.. Description: At First Farmers, campers will explore everything that the farm has to offer. From planting seeds, harvesting potatoes and caring for chickens to spending time in the kitchen creating a simple delicious lunch with fresh farm produce, campers will participate More.. Hours: 10 a.m. - 3:30 p.m.; 12:30 p.m. - 4:30 p.m. Description: Acting camp for young actors ages 7-12. Students will learn about acting, play theatre games, and rehearse a play to be performed at the end of the camp session. The camp will conclude with a free performance for More.. Hours: 7:30 a.m. - 1 p.m.; 7:30 a.m. - 1:30 p.m. Cost: Fees are Per Session - $40 Registration Fee $100 Class Fee *Additional Fees apply for Late Fee, Library Fee and F.W. transportation. Description: Flowing Wells High School Summer School is a great opportunity to get ahead in credits, make up credits necessary for graduation or just keep your child in a safe environment while he or she continues to sharpen skills and knowledge More.. Description: Build an enchanting castle for our frog friends in this fairytale session! Using recycled plastics, paper and foam, campers will learn about “up-cycling” techniques, cleaning our waterways, and the concept of surface tension. Campers will construct a two-level pond scene, More.. Description: The desert night will come alive in this black light themed camp session! Inside a globe terrarium, campers will create a desert garden landscape with faux cactus, flowers, and succulents made from rocks and paper. Each camper will receive a More.. Description: Camp instructed by current and former college and high school coaches and players. Camp will teach the fundamentals of the game as well as allow for 3 on 3 and 5 on 5 game play. More.. Description: Build a whimsical rainbow castle on top of Mt. Olympus in this colorful camp session! Basic color theories and Greek mythology will be taught as campers construct their playful creations. A color-matching board game serves as the base of Mt. More.. Description: Camp for aspiring musicians and singers. Students will work on instrument/vocal skills, form bands and choose their own songs to be performed in a concert on the last day of camp. More.. Description: Singers Boot Camp (12 to 18 years, June 10th-June 14th, Monday-Friday 9:00 am-3:00 pm, Final Performance, June 14th at 7:00 pm, $200) Are you a serious singer who wants to take their technique to the next level? Are you just More.. Description: Sprouts Camp is the perfect camp for exposing your little one to science, gardening, environmental stewardship, and healthy eating, all through fun farm activities! Campers will spend the morning hours exploring the farm and helping us with daily farm chores, More.. Description: Adventure into the open water this summer in an edgy, steampunk pirate ship! Using recycled plastics, campers will learn about “up-cycling” by building a pirate ship with masts, sails, a canon, flags and more. Additional projects include creating personalized pirates More.. Description: Grow a green thumb this summer and plant a whimsical fairy garden. 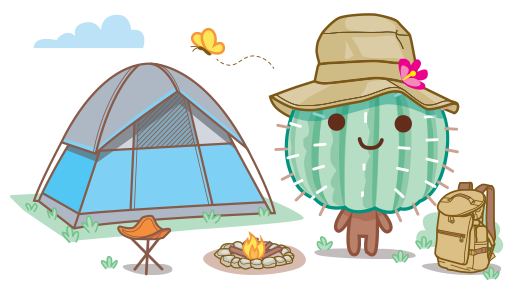 In this session, campers will build a fairy house and plant succulents inside a terrarium globe. While learning about the sun, campers will install a solar panel to More.. Description: TUCSON CLAY CO-OP 3326 N Dodge Blvd. 792-6263 • Maxine Krasnow tucsonclayco-op.com Summer Kid’s Clay Camp with Paul Waldron for kids 6 to 12 years old $145 for two-week camp, Tues, Thurs, & Fri, 9 a.m. til noon Wheel, Hand Building & Sculpture Session 1: May 28, More.. Description: Become immersed in Greek mythology and build a miniature version of the Trojan Horse! In this session, campers will learn the mythological story of the Trojan War while constructing their own Trojan Horse. A wood and papier-mâché horse body, with More.. Hours: 9 a.m. - 12 p.m.; 9 a.m. - 6 p.m. Description: Tucson Summer Music provides free music education to children aged 5-12 from low-income families. More..